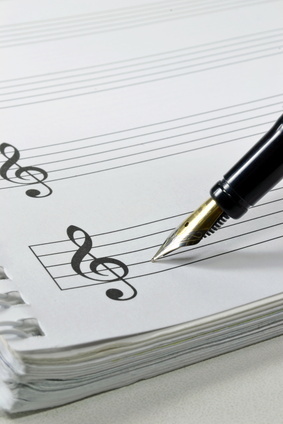 Have you written a song but need some help polishing off the lyrics? We can help. Or maybe the words are ready but you need a melody. Let us write the tune. Perhaps you need an original song (both lyrics and tune) for a special occasion. We can make it happen. Dixie would love to come alongside you to help you perfect your song lyrics. Or if you need something original for a special occasion, she can write it for you. Sharon Phillips, CES songwriter, has taught piano and voice for 30 years. She serves as church accompanist and enjoys working with the praise band. Sharon had a Top 20 original song at “Music in the Rockies” songwriting competition. Dixie and Sharon’s song “Hidden Heroes” won the Grand Prize winner of the 2012 Singing News/Solid Gospel Songwriters Search. “Hidden Heroes” was recorded by The Talleys and has charted at #11 in the Singing News December 2014 charts. Dixie and Sharon can do your lyrics and tune. Or if your lyrics are done, Sharon is ready to add the tune!